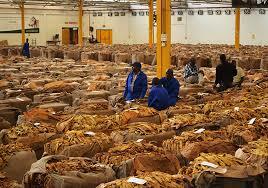 Tobacco farmers are complaining over delays in the processing of their payments at the auction floors in Harare, resulting in most of them spending days camped at the floors. They said their cheques were taking long to be issued, while the money was taking long to reflect in their accounts. Most of the farmers said they had to wait for the money to reflect in their accounts at the floors in case there was need for clarifications. “Cash delays are giving us headaches as we now have to spend more time waiting for the money to reflect in our bank accounts,” said Mvurwi farmer, Mr Mike Nyikayaramba. “Things had improved during the past seasons when the payments were being processed fast. Now there are delays. The money takes long to reflect in the account. Mr Nyikayaramba said they were also facing challenges in accessing the $300 cash that they were supposed to get per sale. Zimbabwe Commercial Farmers Union President Mr Wonder Chabikwa confirmed the challenges being faced by farmers. “The selling season has been going on well and farmers have not had problems with the prices being offered by buyers. The problem is the payment system, which is proving to be slow. In this day and age of improved technology we should not be experiencing such problems.